Connects up to four skating ramps with this high impact table top for even more fun. Suitable for use with a skateboard or a bike. Maximum weight 110kgs. Helmet, protection gear and skateboard not included. 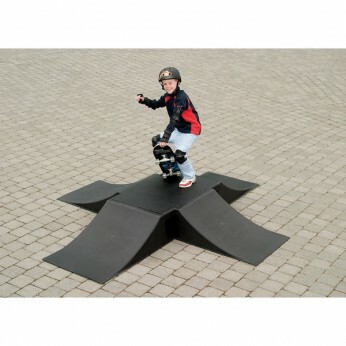 Please note that each skate ramp is sold separately and that this item is a table top only…. This toy costs approximately £19.99 (for the latest and best prices make sure you check our retailer list for the Table Top for Fly Box Set above). In our review of Table Top for Fly Box Set we classed it as being suitable for ages 8 years, 9 years, over 10 years but recommend you check the manufacturer specific advice before purchasing.